Buying remnant print advertising space is a great way to showcase your business and gain leads at a fraction of the cost. Newspapers that would normally be too costly to post your ads in upfront often have remnant magazine ad space available to purchase. Working with a reliable remnant advertising broker can help you make wise decisions and negotiate with papers about the space available to you. But how do you choose a good remnant advertising company to work with and advise you? Here are some important aspects to consider. Here are a few important areas that a good remnant advertising network will have. If they are successful in these points, then you are on your way to having a successful run with your remnant advertising projects. It is important to find a remnant newspaper advertising company that has a solid track record of successes for its clients. Even better, find one with a good rapport with television and radio stations as these companies can get you even better rates. If their print media typically gets high exposure, then your ads will have better success. Is the agency able to match your needs and expectations? If you can work well with them, and if they understand your goals and what they need to do to help you achieve them, then you have found a good company to work with. If you are constantly experiencing misunderstandings and conflict, this stressful relationship will impact your campaign’s performance. Find an agency that will hear your business goals. The more an agency is willing and able to understand your business, company, product, service, or objectives, the better their strategies will align with your plan. Choose whichever advertising channel type is most suitable to your goals whether it be daily or weekly newspapers/magazines, weekly or monthly shared mail blasts, radio/television advertising airtime, or billboards. When you invest in remnant newspaper ads, you are benefiting from drastically discounted prices for major exposure in magazines, newspapers, and print media. In some cases, you can pay 75% less than the original price. This low cost is great for companies with a small budget for ads but need access to media that is out of their league. A good agency will be flexible but also knowledgeable of industry success stories to guide you and advise your strategy. If your agency is able to help you achieve your advertising goals or has a track record of successful work with previous clients, then you can be confident that you are putting your ad marketing in good hands. The following questions are important things to ask yourself before selecting a remnant print advertising agency. Who is your audience and what is your reach? What size ad should you choose? What page or region is your ad going to be on? What day of the week is your ad going to be printed? What percentage of those people actually read to the back page? Are you using print in addition to other media? 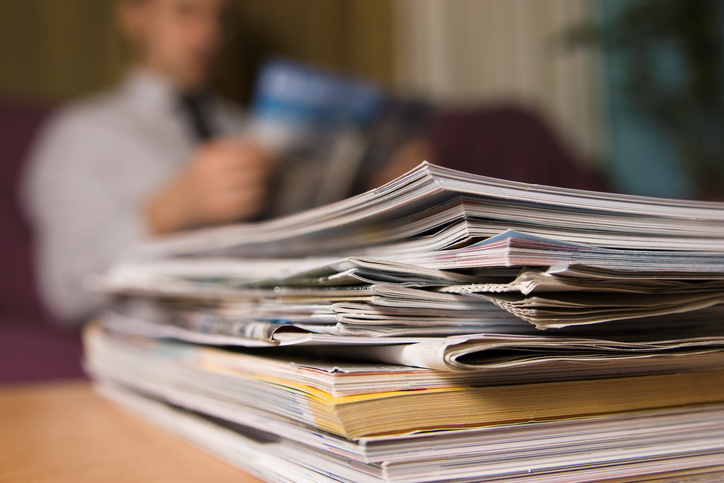 Are you using print to engage more customers and bolster awareness for your brand? Will you have a dedicated account manager at the agency, or will you be talking to many different people? Does the agency have relationships with the publications you want to target? Will the agency consult with you to make sure that your print media buy is aligned with your goals, or will they merely do whatever you tell them to do regardless of how well it will work? What are you looking for in terms of pricing? Choosing a remnant print advertising agency should not be a rushed job as the success of your marketing campaign relies heavily upon the agency. The previously mentioned questions are important to consider before choosing a trusted company. If you are looking for an experienced agency to help you place effective remnant ads, Macromark has the solutions you need. With over 30 years of experience in the industry, we have grown to become leaders when it comes to direct mail strategies. To learn more about how we can help you, contact us as 1-(845) 230-6300.